According to the 2016 Food Safety Survey Report, conducted in collaboration with the FDA and USDA, consumer knowledge has increased about food safety consumer practices. The government has been conducting this survey since 1988. Key findings in the survey has found that the percentage of Americans who own a food thermometer has remained constant but usage has slightly increased. In 2016, 67% of respondents reporting owning a food thermometer. In 2016, 38% report that they always use a meat thermometer for roasts, compared to 19% for chicken parts, and 10% for hamburgers. 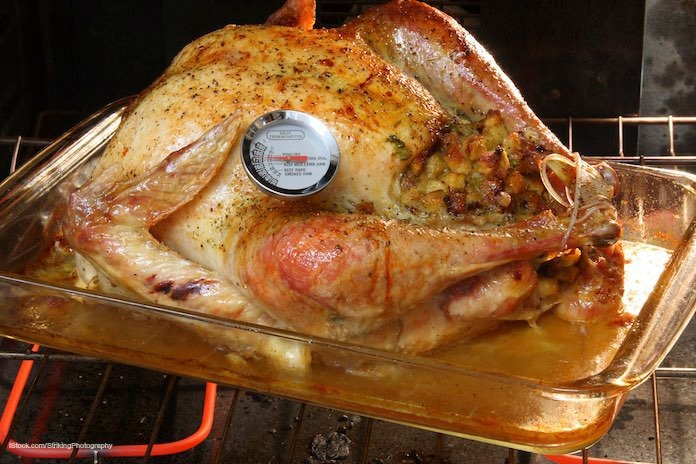 But using a food thermometer is most crucial for ground beef, and very crucial for chicken, while it’s less critical for larger cuts of beef that are cooked on the exterior. Hand washing rates have remained constant or decreased between 2010 and 2016. The survey asked about hand washing at four specific times: before preparing food, after handling raw meat or poultry, after handling raw fish, and after cracking raw eggs. In all of the years consumers are more likely to report washing hands with soap after touching raw meat or raw fish, than before preparing food, or after cracking raw eggs. The percentage who say they wash their hands with soap after touching raw meat or raw fish has stayed constant since 2010, at 85%. There was a slight decrease in the percent who report washing with soap all of the time before preparing food: down from 78% in 2010 to 75% in 2016. And there was a decline in the percent who report washing with soap after cracking raw eggs, from 48% in 2010 to 43% in 2016. On the positive side, most consumers wash cutting boards after cutting raw meat, and refrigerate meat and chicken dishes within two hours of cooking. About half of respondents use devices such as smartphones or tablets in the kitchen, but only about a third of those people wash their hands with soap after touching the device while preparing food. Those objects can carry pathogenic bacteria. This is a new finding in the survey and highlights the need for more research to understand how technology is used in the kitchen. Consumers are somewhat concerned about getting a foodborne illness from how they prepare food, but most think that people are more likely to get sick from food purchased at a restaurant than food prepared at home. Fifty-four percent think it is “more common” to get food poisoning from restaurants. Consumers are more concerned about the contamination of raw chicken and raw beef than raw vegetables. Only 6% of consumers thought raw vegetables were “very likely” to have bacteria than raw chicken (66%) and raw beef (41%). A 2014 CDC study found that produce caused 46% of all foodborne illness outbreaks, with leafy green vegetables being the most common culprit. Unfortunately, most consumers (67%) wash chicken parts or whole chickens before cooking them, even though research shows this practice sprays bacteria around the kitchen. The most common method is by rinsing them with water. And most consumers had not heard of mechanically tenderized beef. That product is produced by piercing whole beef cuts with needles or small blades to tenderize it. That practice forces bacteria on the exterior of the muscle into the muscle itself. Then when the beef is cooked less than well done, bacteria will survive and can make someone sick. Labels were required on mechanically tenderized beef in May 2016. There have been six food poisoning outbreaks linked to this product in the United States since 2000.